What’s in the Power Pack of Presets? 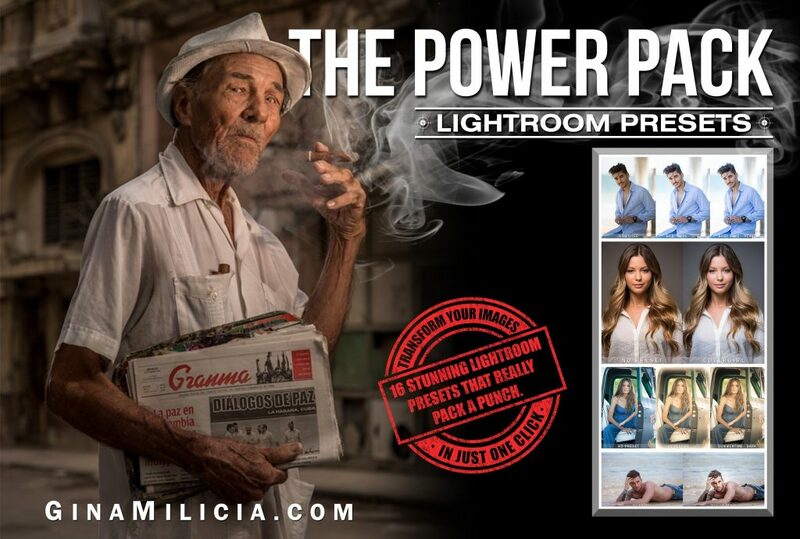 The entire Power Pack is only US$37. What are you waiting for? 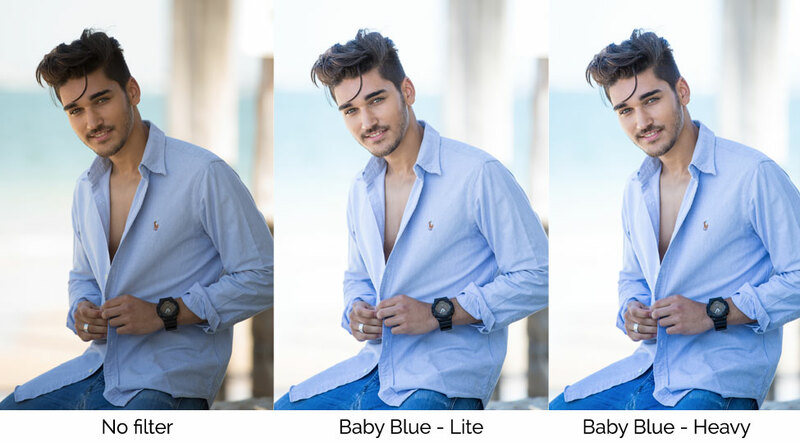 Baby Blue is a lightroom preset that has been created to enhance blue tones and brighten skin tones in an image so it’s ideal for portraits and looks great in images where your subject is wearing blue clothing, has blue eyes or in a location with blue tones in the background. 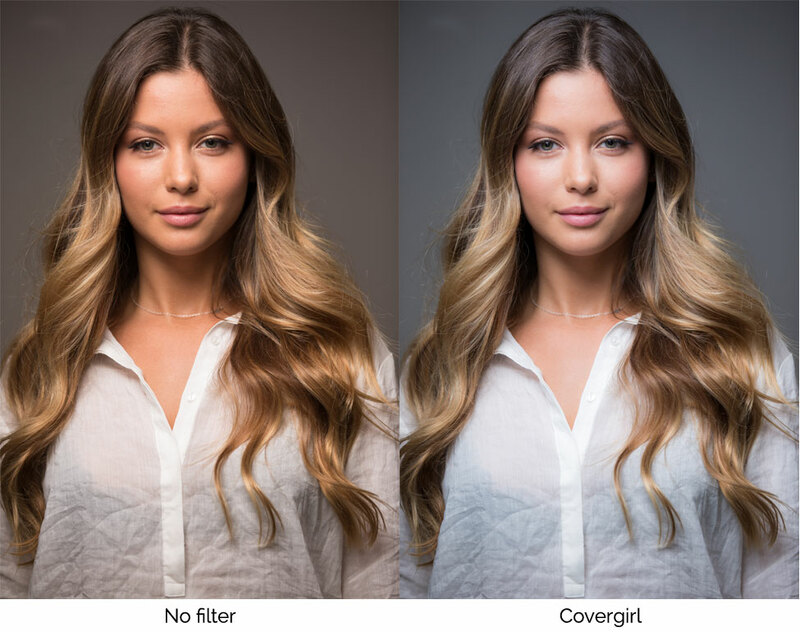 Covergirl is the Goldilocks of all my presets because the adjustments are not too heavy and not too light but just right. This is the preset I use for many of my commercial advertising clients and for editorial and cover shoots. This preset is perfect for character portraits and also looks great on gritty street scenes or industrial locations and still life shots. Morning Light is a soft preset and was designed to mostly add colour tones into the shadows and highlights of a portrait. 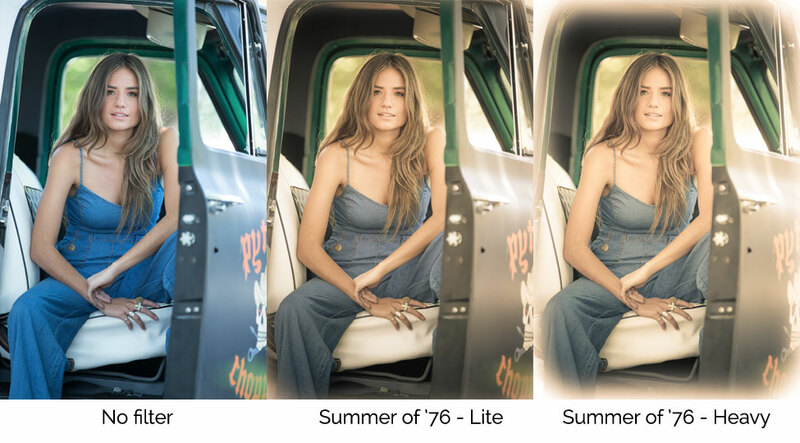 This preset tweaks skin tones only slightly so is perfect for portraits that you only want to adjust ever so slightly. Morning Light 3am will add blue tones to the image. Muscle Beach has been created to add contrast, definition and warmth to an image so it’s perfect for lifestyle body shots and creating edgier looking portraits. This gritty, grungy look has been one of my ‘go to’ presets for many of my television promotional and marketing shoots and is one of my favourite styles. Goldilocks Lite was created for to brighten skin tones and make them pop. Use these presets as a starting point and then adjust the exposure, shadow, clarity and, black sliders to suit your own images. 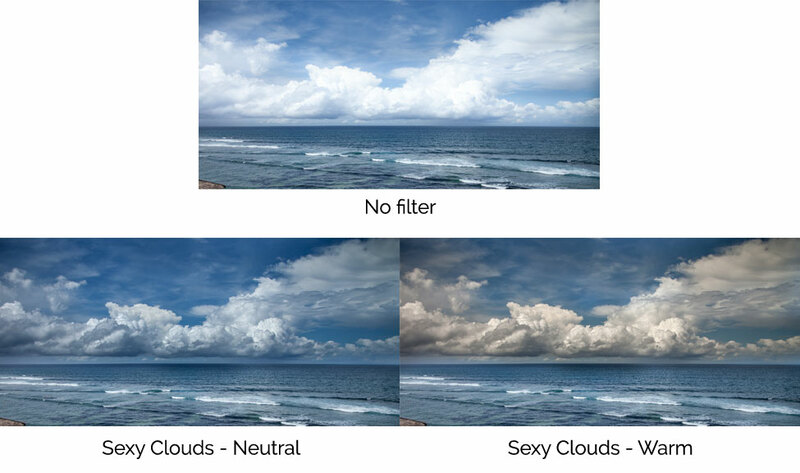 I’ve created a Lightroom brush preset that will bring out the texture and tone of clouds, or anything that’s white and fluffy (it also works on polar bears and white kitty cats). This is a brush preset that you can use in the develop module with your adjustment brush. The really cool thing about brush presets is that they only target the area you use the brush on. The Moroccan Vintage Presets have been designed to create an old school vintage camera look. It’s a bit grainy, with light leaks and shadows just like the image was photographed with a 1950’s film camera. All images are slightly different so feel free to tweak exposure,contrast, shadows, whites and clarity to suit your image. 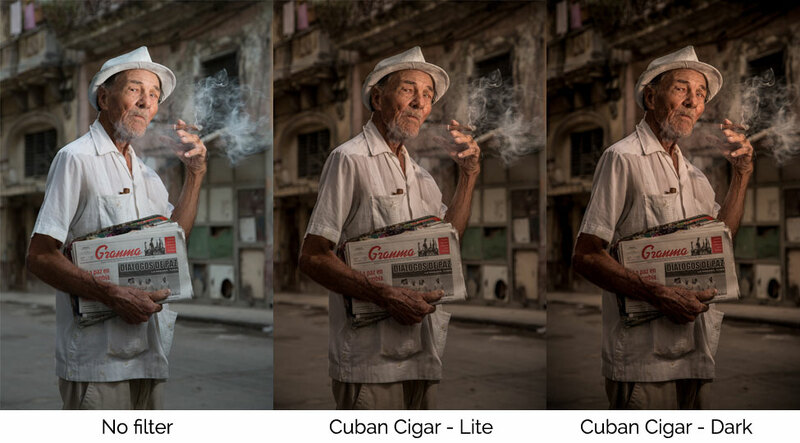 Cuban Spotlight Preset was inspired by the rustic street scenes I experienced on my recent trip to Cuba. 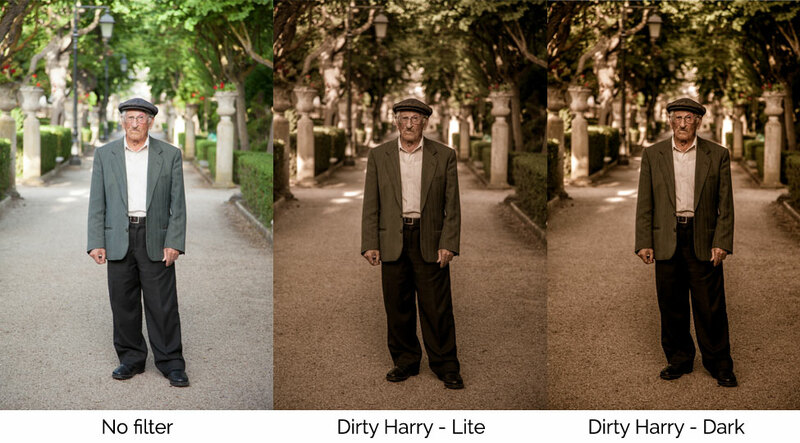 This preset is great for bring out the detail in slightly underexposed images or moody images of dusk or dawn scenes. 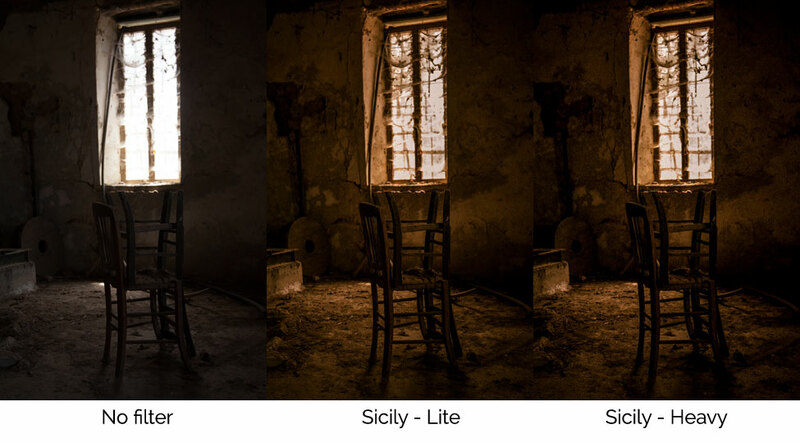 Every image will have slightly different tonal value, so feel free to tweak the shadow, black, white and clarity sliders to best suit your image.